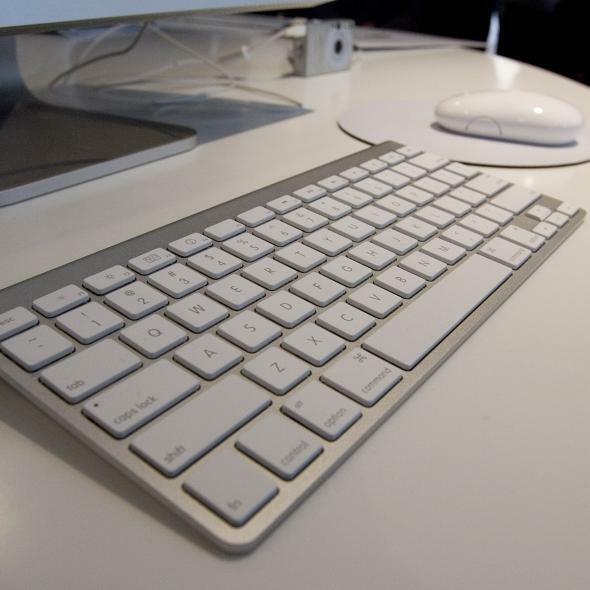 This keyboard trick makes switching from a PC to a Mac much less stressful. If you’ve recently (or ever) switched from a PC to a Mac, you may have noticed something missing—and I don’t mean Windows 8. Unless you have an extended desktop keyboard, the first time a new Mac user attempts to tweet, write an email, or simply process words on their gleaming new machines, they make a startling discovery: There’s no Delete key. Or rather, there is a Delete key, but it doesn’t do what your old Delete key did. Embedded in the upper right corner where your old friend Backspace used to live, the Mac Delete key does what Backspace did: eliminate characters behind your cursor, to the left. But what if you want to delete characters in front of your cursor, to the right—that is, Delete them? Steve Jobs was the Coco Chanel of technology, operating under her mantra that “Simplicity is the keynote of all elegance.” The man responsible for the iPhone having just one main button hated superfluous buttons to the point that he used to pry the Function keys off Apple keyboards with his car keys, arguing that only the nerds who created the F keys knew what they were for. But, lucky you, he spared one effin’ key: the Fn key, in the bottom left corner of your Mac keyboard. Hold it down while hitting Delete, and the true versatility of Mac’s Delete key is revealed. Now, for the sake of the women of the world, Apple needs to come up with a key for making Matt Bomer go both ways.